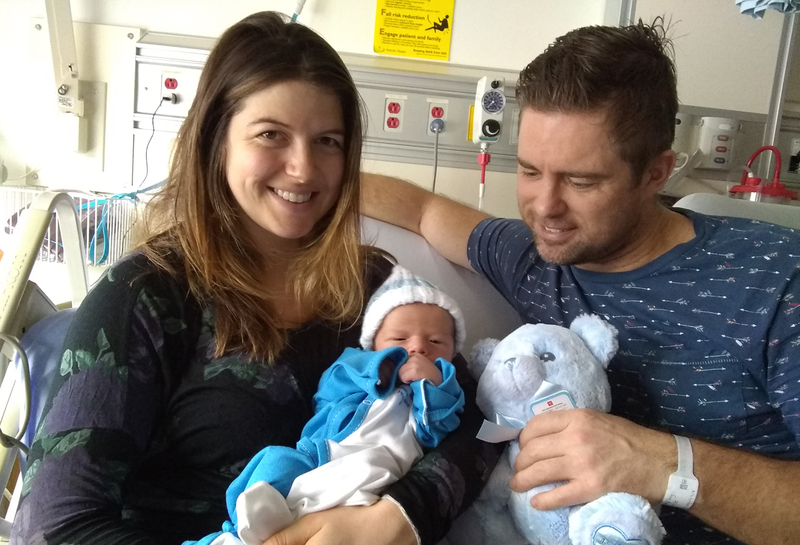 The Kootenay Lake Hospital Healthcare Auxiliary Society gifted the first newborn at the Kootenay Lake Hospital in 2019 with a stuffie, a "Born in Kootenay Lake Hospital" sleeper and a newborn toque. Indie Rain, born to proud parents Sage Laboucan (Mom) and Blue Netherelift (Dad) from Slocan City, arrived at KLH at 5:28 a.m. Thursday, January 3. Seven-pound, 10-ounce Indie, is the first child for Sage and older brother Seth, 5. See West Kootenay New Year's Baby.